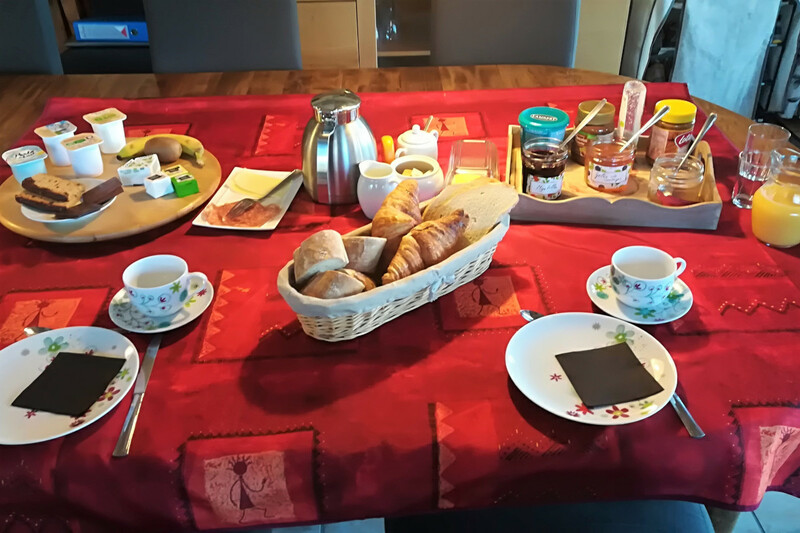 You start your holiday between 8.00 and 9.30 h with a true continental breakfast from the sideboard either on the sunny terrace or in the dinning room. 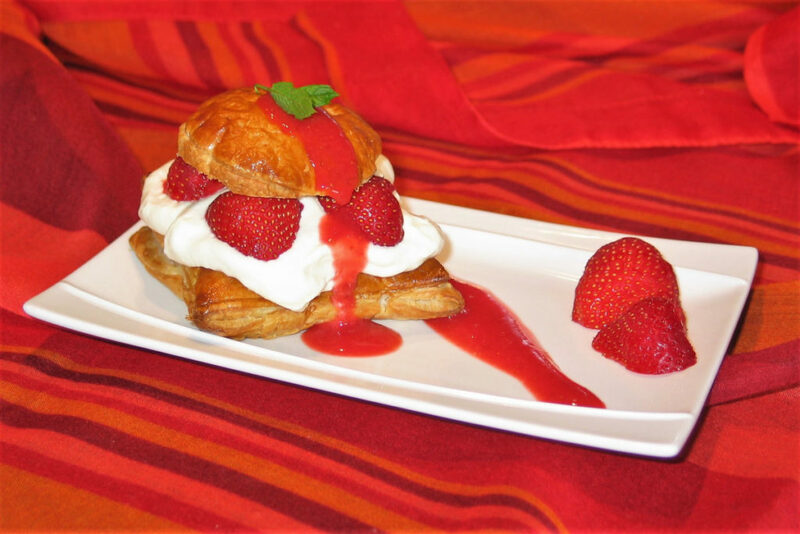 There will be a choice of bread, croissants, eggs, house-made marmelade, cheese, meat, yoghourt and fruit. Four times a week we offer you a dinner of four dishes (appetizer, first course, main course and desert). There will be a large variety making use of local or home-made ingredients. Again you can dine on the terrace or inside. We offer a small and reasonably priced wine list for you to enjoy with your meal. Dinner starts at 19.30 h.
Table d’hôtes only after reservation.